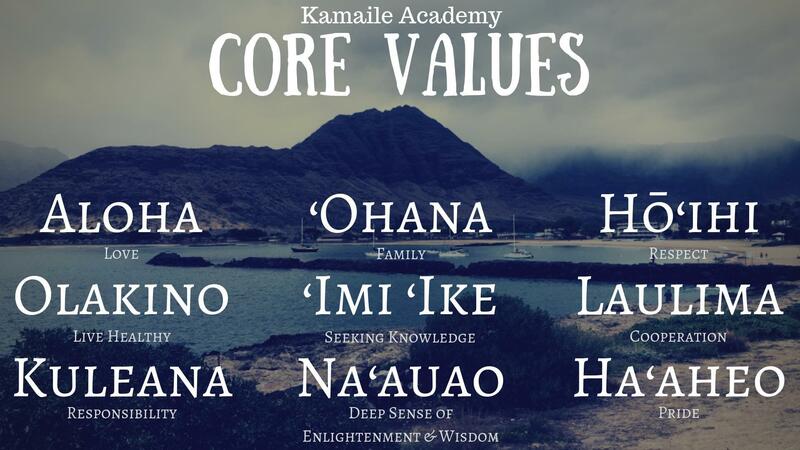 Our values serve as the foundation for everything we do and define the education we provide at Kamaile Academy. Aloha, ʻohana, and hōʻihi are the kāhua (foundation) of who we are. From every class project to keeping our campus beautiful, haʻaheo guides our staff and students to take pride in everything that is done at our school. Laulima is the way we cooperate in order to move forward as one ʻohana — haumāna (students), kumu (teachers), and kaiāulu (community). Upholding these values is OUR kuleana.